Frome Festival 2016: On Sunday 10th July 2016, I will be taking part in the Frome Festival. In Frome Library from 10am to 12 I'm running a practical workshop in the art of short story writing - WRITING SHORT STORIES WITH ALISON CLINK Event 1004 (£12). Then at 12.30 until 13.30 also on Sunday 10th July, I will be in conversation with London Literary agent, Jane Judd. ASK THE AGENT WITH JANE JUDD - what an agent does and how to get one. Event 1014 (£6) venue - Frome Library. 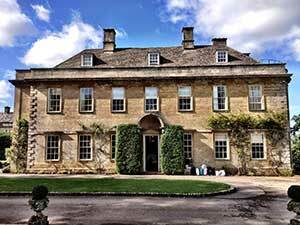 If you are a member or guest at Babington House near Frome you may like to come along to my creative writing class on Wednesday mornings in the study. 10am - 12pm. To book please ring 01373 812266 / 814730 - or just come along to the study. Please ask at Reception if we are not in the study as sometimes we are relocated to the Library or the Games Room. Please bring pen and paper. £10 per two hour session. This is a drop in course - you don't have to come every week to take part. 'Each step of Alison's creative writing course was full of vital information for anyone wanting to be published. Each class ended in achievement for everyone. This course is a must for anyone wanting to write - a well structured course that encourages creativity and motivation.' Liz Lee - former student. "The Creative Writing Course with Alison, has been an excellent way of gaining confidence and improving my writing skills, meeting like minded people, sharing stories and tips for publication, competitions, and writing events going on in the area." Bev Jones - former student. Alison's classes are a great way of improving your writing, whether beginner or an 'old hand'. Through class based writing activities and opportunities to discuss their own work in a supportive environment, each student makes progress. Furthermore, Alison's up-to-date knowledge of the market ensures help in placing your writing; I've had three articles accepted by the Guardian newspaper. I've also won first prize in a local short story competition and taken third prize in an International Life Writing competition (for which I won £500 and inclusion in an anthology published as an ebook). Alison's encouragement and enthusiasm have given me the confidence to go for it and see myself as an author. She can do the same for you. Lynn Brand - former student. For individual in depth critiques of short stories you can contact me via this website for details of my charges - see contacts page.